« Go Support Monster the Netheland Dwarf! I googled & found this recipe on the Internet & decided to try it out last Christmas. It’s simple & turned out a great hit with my family members! The freshly baked cookies were gone from the plate real fast! 4. Roll the dough into a disk shape and wrap it up with cling wrap. Leave it in the fridge to chill and harden up for at least an hour. 5. Pre heat oven to 180 degrees celsius. 6. 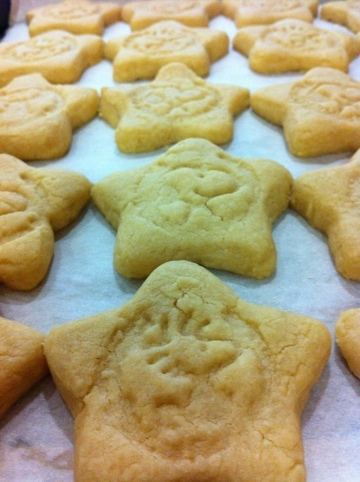 Roll out the dough to even thickness of 1/4 inch & cut out cookies with a cookie cutter. 7. Place cookies on a baking sheet and chill it in the fridge again for 15 minutes so that it will not spread out while baking. Try out this simple recipe if u are looking to start with something easy!